LA Museums You've Never Heard Of, But Need to Check Out Now! Sure, we all love LACMA. And The Getty Center is always great, especially when you need to entertain out-of-town guests. But sometimes it’s fun to branch out. 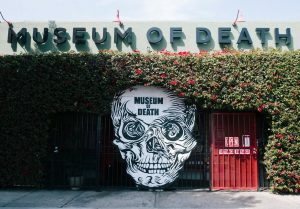 LA is full of cool, unusual, and off-the-beaten track museums that are definitely worth a visit. 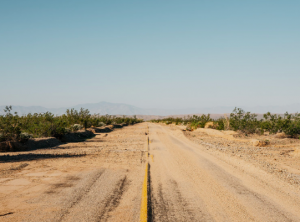 From cryptic collections to interactive experiences, neon light tours, and even food museums, you’ll always find something new to discover in LA! The Museum of Jurassic Technology is an educational institution dedicated to the advancement of knowledge and the public appreciation of the Lower Jurassic. This cryptic statement is left uncertain and unexplained. And that’s just the point! The museum contains a provocative mixture of artistic, scientific, ethnographic, and historic, as well as some unclassifiable exhibits, and the diversity of its offerings evokes the cabinets of curiosities that were the 16th-century predecessors of modern natural history museums. The factual claims of many of the museum’s exhibits strain credibility, so take it all in with a grain of salt and have fun! 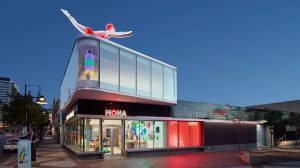 The Museum of Neon Art (MONA) is the only museum in the world devoted exclusively to art in electric media, exhibiting electric and kinetic fine art, and outstanding examples of historic neon signs, for over three decades. MONA encourages learning, curiosity and expression through the preservation, collection and interpretation of neon, electric and kinetic art. A gateway between scientific principles and artistic expression, Neon illumination integrates electrical technology, creative design, and fundamental concepts of physics and chemistry. MONA hosts Saturday night Neon Cruises–a nighttime bus tour of neon signs, movie marquees and permanent installations of contemporary neon art through Downtown and Hollywood. Buy tickets here. Ready for a road trip? Desert X is a site-specific exhibition that first took place in Spring 2017. Artists from different parts of the world are invited to create work in response to the unique conditions of the Coachella Valley and project their vision based on the extraordinary natural and social history, matchless spectacle of the geologic epic, radical abstraction of the surrounds, and the singular incursions of humans into the seemingly barren landscape. Desert X will be held from Feb. 9 – Apr. 21, 2019 in the Coachella Valley. Free and open to the public. Plan your visit here. The Museum of Illusions was founded as a place where visitors could let their imaginations run wild! 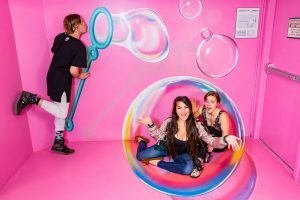 A great place for friends and family to express themselves in one-of-a-kind interactive art exhibits that make for a photo opportunity unlike any other. The friendly staff encourages you to take as many photos as you want in front of a wide range of exhibits, from climbing the highest mountain tops in the world, to playing Jack & Rose as the Titanic sinks, or running through the city during a meteor strike! 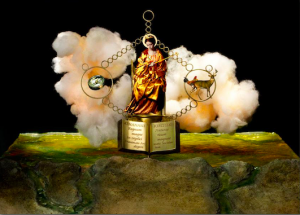 The unique 3D paintings are created by some of the world’s leading artists, with new exhibits being added all the time. 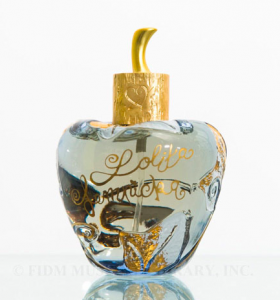 You’ll find the Annette Green Perfume Archive on the second floor of FIDM Museum at the Fashion Institute of Design and Merchandising in DTLA. Discover a robust collection of fragrance and beauty objects, from luxuriously packaged Lucien Lelong lipsticks to the suggestive glass bottle of Schiaparelli’s Shocking perfume. The FIDM Museum and Library collects, preserves, and interprets fashion objects and support materials with outstanding design merit and fosters student learning, public engagement, and recognition of the creative arts and entertainment industries by providing access to the collections through exhibitions, publications, and other research opportunities. Wait, let me take a pic first! If you’ve ever heard those words or said them yourself before being allowed to dig into your meal, then you’re probably a foodie.The Foodie Space pop up is the serial foodie photo-taker’s wildest dream come true. Imagine colossal glitter fries that you can marry, playing with a giant overflowing noodle bowl of pho, an over-sized tea set mad enough to make Alice jealous, and many more to interact with! Playfully poking fun at society’s obsession with social media and #foodporn, visitors will have a chance to take tons of glorious food pics to their heart’s content. Each interactive exhibit was made by hand by local artists. 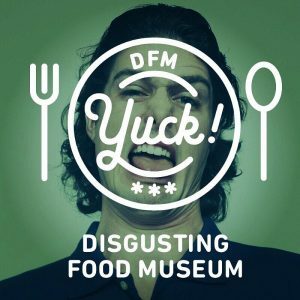 The Disgusting Food Museum is not just an exhibit, but a celebration of food from around the world, highlighting how different cultures may or may not view certain things as disgusting. First displayed in Sweden, the collection of 100 plus foods was conceived and curated by psychologist and innovation researcher, Dr. Samuel West, well-known as “Dr. Failure” after the runaway success of his Museum of Failure. Foodies, travelers, and the just plain curious can explore unfamiliar food creations, smell new and face-cringing aromas and take selfies at the far from usual grand finale tasting bar with select creations to sample! Amazing and bizarre Instagrammable moments are endless!